Cloaking your affiliate links has a number of benefits. Not only it saves your hard earned affiliate marketing commission, but it also makes your links pretty good looking and branded. From the last year, I have been seriously cloaking my affiliate links. Doing so has saved me a lot of time and money. Every time I write a post, I don’t have to worry about adding my affiliate links to monetize my content. Neither I need to remember the links, nor I have to log in to my affiliate marketplace to copy and paste these links into my content. In this post, I will show you 3 WordPress plugins, I tried and tested to cloak my affiliate links. 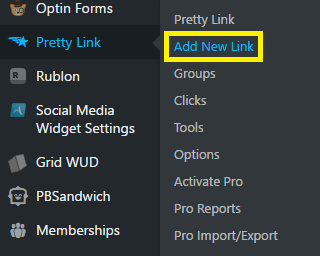 Step 1: Download and install the prettylinks plugin. 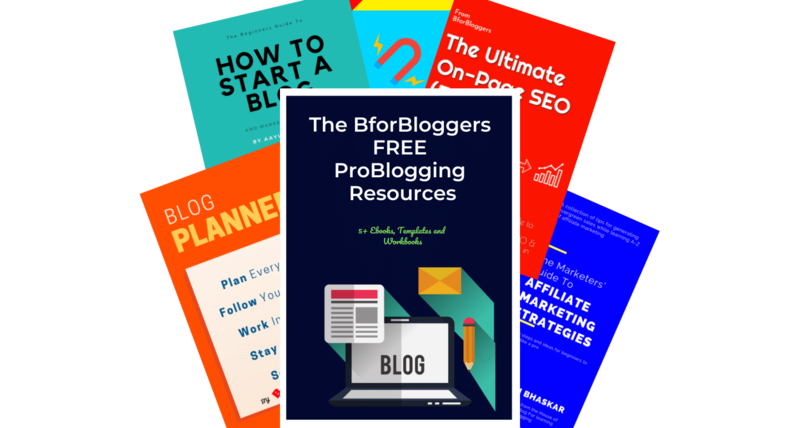 From the last year, I have been using ThristyAffiliates plugin to cloak and manage all of my affiliate and non-affiliate links on BforBloggers. This plugin is actually the best in the market when it comes to features and performance. With ThirstyAffiliates, I don’t need to leave my WordPress editor to find my links. All I need to do is to click on the plugin icon in the editor itself, search for affiliate link by entering the name and that’s it. ThirstyAffiliate also has a pro version with which you can easily automate the whole process. With the automation add-on for ThirstyAffiliates, you can assign a keyword for every affiliate link you create. All you have to do is allot a keyword to a specific link and ThirstyAffiliates plugin will link that keyword to your affiliate link. It also helps you to attach affiliate links to images. Let’s say I have a post on best WordPress plugins for performance optimization and in it, I have written about WP Rocket plugin. 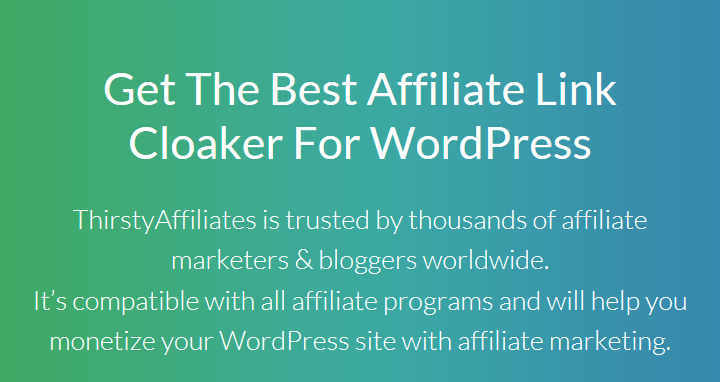 I have cloaked my affiliate link to WP rocket with ThirstyAffiliates and I have also assigned this plugin to add a link to this keyword. Now, every time I write the word WP Rocket anywhere on my blog, My affiliate link will be attached to it without any effort. I’m truly impressed with this plugin. The best part of this plugin is it’s very beginner friendly and easy to use. I have made a tutorial on how to cloak your links with ThirstyAffiliate Plugin, you should check that out if you choose this particular plugin. Another simple plugin you can use to cloak links on your WordPress site is Pretty Links. This plugin is much small when it comes to features but for beginners, its super user-friendly. Pretty Links shortens and makes your affiliate links look pretty (as it already says). You don’t get specific features such as categorization and slug management but if you just need a quick way to make your link management system easier, pretty links work great. This is a plug and play plugin, you don’t need to do anything after activating it on your WordPress blog. Simply enter your long, ugly link and give a name to it and you are good to go. Far by, if you keep adding features such as slug selection and smart management aside, The Easy Affiliate Links plugin is the best option. The plugin is actively monitored and if you are looking for any specific features, just ask the developer and he might add it in future! Although this list was about the 3 plugins, I couldn’t keep myself from adding this particular plugin that is Auto Affiliate Links. Auto Affiliate Links, as the name suggests is one simple plugin that automatically cloaks adds the affiliate links to your posts and pages without you doing anything. The best part, It’s free to use! If you prefer to select your keywords and add your links manually, you can do this by going to “Auto Affiliate Links” menu in your administration panel. In General Settings you can set if you want the links to be cloaked, if you want them to be added into content your homepage or not and several other options as well. 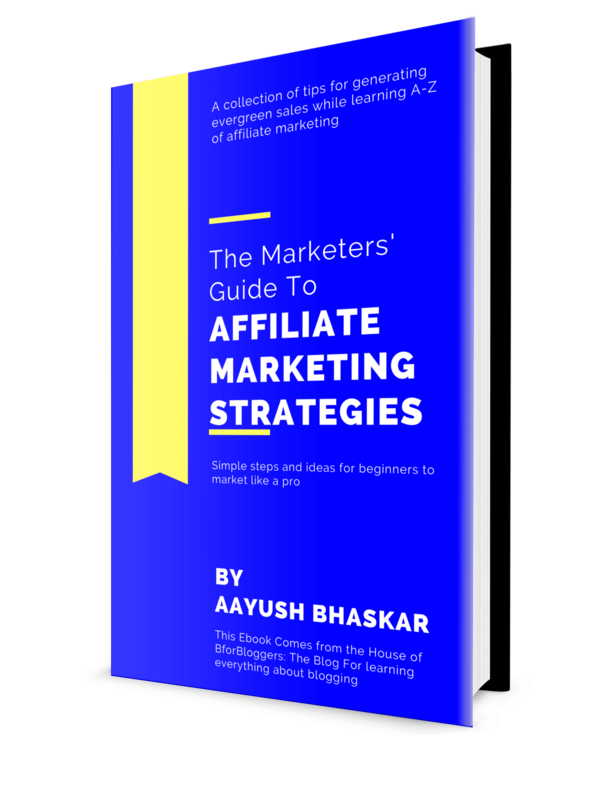 If you use Clickbank, ShareASale, Ebay associates, Amazon associates, Evanto Marketplace, Commision Junction and Walmart to earn money from affiliate marketing, this plugin will become a boon for you. If you use any or every given network, this plugin will automatically convert your keywords into affiliate hyperlinks. You don’t have to worry about anything once you finish the setup. I have written a detailed post on link cloaking and it benefits so make sure you check that out. Affiliate links should be cloaked before being attached to any of your content. This will make sure no one can mess with your links and your commissions. That being said, let’s head on to our step by step process for cloaking an affiliate link. ThirstyAffiliates is amazingly easy to use and beginner friendly plugin that helps you to organize, cloak, manage, export/import, track and attach image files to your affiliate links. Read the whole ThirstyAffiliates review. we have to install this plugin and activate it. This will help us to cloak our affiliate links with one click. This is a plug n play plugin so as soon as you have activated it, head on to the next step. This step is as simple as it sounds. If you look at the upper part of the image, you will notice a name section. I have an affiliate link of Hostgator and I will now enter the name Hostgator in the name section. This will help me to identify the link easily i will be then able to add this link into my content easily from my editor. Once you have filled in the link and its name field click on the save link button. That’s all. You can now proceed to add this link in your new as well as existing posts. For adding the link you just cloaked, go to your WordPress TinyMCE editor. On the above side of your editor’s header in visual mode, you can see a logo saying “TA” in a green blueish color. Click on this element. 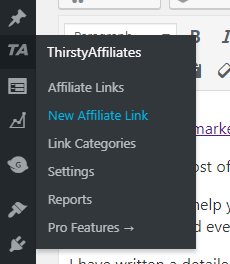 If you want to link your cloaked affiliate link to an existing word of your content you can do so by first selecting the word and then hitting the ThirstyAffiliates logo on the editor. The moment you click on the TA logo, a small window appears right above the text in the blank section of your editor. In this window, enter the name of your link, for instance, I have entered ” Hostgator”. This is the same link we just cloaked a moment ago in this tutorial. Select the Hostgator from the suggestions as they appear as soon as you start to type the first few words. Click on the blue arrow that appears at the right side of the window as shown in the image above. That’s all. The link is now attached with your desired text. You can also attach images with your affiliate links by click on the select image tab situated just below the save button. If you know about how redirection works, you can also set 302, 301 and 307 redirection on individual links. For setting up the rule for all of the cloaked links you can go to the plugin settings and change the universal redirections rule. You can also Do follow and No follow the links universally through these settings. You can also categorize the individual cloaked links into specific categories. I strongly recommend you to do this from the first day. This will help you to stay organized in the future. If you aren’t satisfied with ThirstyAffiliates, there’s another popular plugin that does the same job. It’s is called Prettylinks. 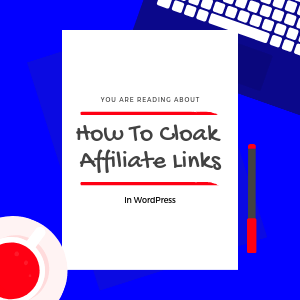 To cloak affiliate links with Prettylinks, follow these simple steps. Head on to the shortlinks by prettylinks homepage and get the plugin. Install and activate it on your WordPress blog and move to the next step. Open the prettylinks panel and click on add new button. Here, enter the link you want to cloak and enter the name you want to give that link. you can also change the redirection rule of the link. The preferred one is 301 permanent redirection. That’s it. Nothing more is required. The rest of the process remains the same. Both of the plugins give you an opportunity to track the clicks on your cloaked affiliate links. You can check the report by going to the plugin panel and then the reports section. The report shows you the chart of clicks you get on each individual links you can also analyze the chicks on one particular link of your choice at a time by entering its name in the search bar. Both plugins wworkthe same and it’s up to you which one you choose. However, I would recommend ThirstyAffiliates. If this guide has helped you, share it on Facebook and if you have any question, ask them in the comments section below. Although I have never used anything beyond Thirsty Affiliate, but I would love to try the remaining 2 plugins for sure. Without these plugins, it is impossible to breathe for any affiliate marketers. Many thanks for sharing this wonderful information and helping others. Same is with me. I have never ever heard the term of cloaking URL without thirsty affiliate. But this list has gave something new. I’m definitely gonna explore other 2 plugins. Thank you for mentioning Auto Affiliate Links in your article. If you have any suggestions to improve the plugin let me know. You’ve got a great plugin. Keep the great work up. There’s one suggestion for your website – make it more modern and conversion focused. Those are really some of the best link cloaking plugins available for WordPress blog. Indeed the TA and EAL are the best ones which i have already tried and found very useful for an affiliate marketer. I have tried pretty links in the past, and it works great. But, I think I should give a try to thirsty affiliate this time for my new site. But, was wondering despite thirsty affiliate being so popular why the downloads are lesser compared to pretty links. Thirsty with 20k and pretty links with 200,000. a huge gap. But still, I will give it a go. Any thoughts?